Jazz aficionados in the Seacoast area might like to be aware of a boutique record label in Fall River, Massachusetts, called Whaling City Sound. Founded in 1999 by former Kittery resident Neal Weiss, the company aims for innovative musicianship, impeccable recording quality, and professional packaging to reflect the feel of each individual recording. From its humble beginnings to its current roster of over 75 releases, each uniquely tailored to the artists it promotes, Whaling City Sound has received glowing reviews for sonic quality, captivating performances, and attractive packaging. 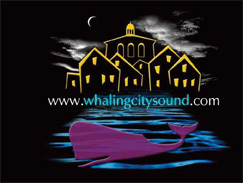 Whaling City Sound’s website ﻿allows the interested listener to both sample the recording and peruse several reviews of the CD, a valuable service when searching for fresh and engaging music. Their affiliation with CCNow makes online shopping a breeze with a modest $14.99 price tag for any CD and a reasonable $3.00 shipping charge. Purchasing music on a label supports artists' careers and exposes more artists to you. Please show your support for this label and the exceptional artists it represents. What it really comes down to is this—if you like the CDs and buy them, they can continue to make more of them of equal or better quality.